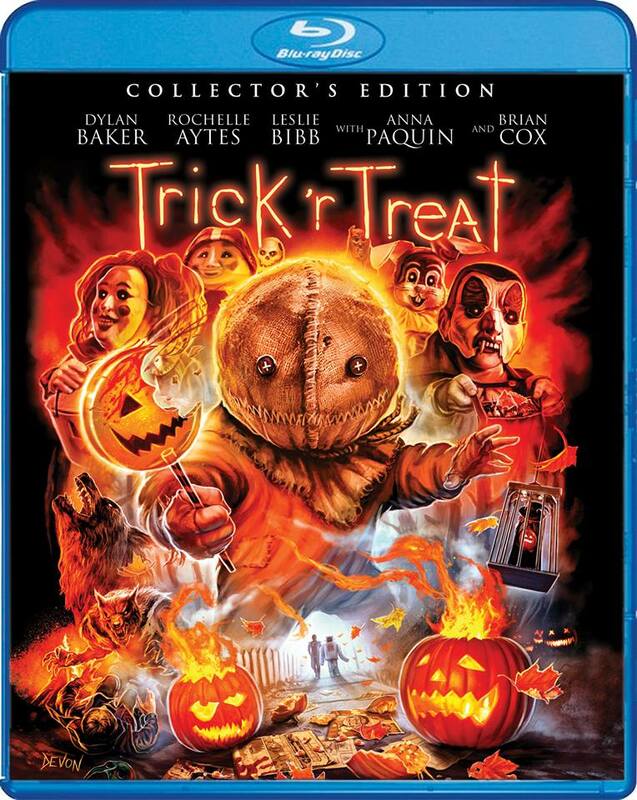 Scream Factory has just announced that the modern Halloween classic Trick ‘r Treat will get the deluxe Collector’s Edition treatment in a sweet new Blu-ray release coming this October. • New extras and specs are still in progress and will be announced later in September. Extras from the previous DVD and Blu-ray release will be ported over and more new interviews are underway. Director Michael Dougherty is very-much involved! • The newly-commissioned artwork pictured is director approved and comes to us from Devon Whitehead. This art will be front-facing and the reverse side of the wrap will be a theatrical art alternative that Dougherty has asked to be included.